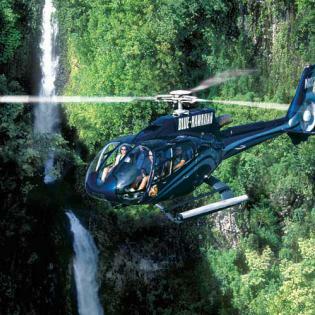 There isn’t an experience on Earth like a helicopter tour of Maui. From the Hana rainforest, to the deep valleys of the West Maui Mountains, to the soaring cliffs of Molokai, the only way to discover Maui’s most spectacular sights is from the air. 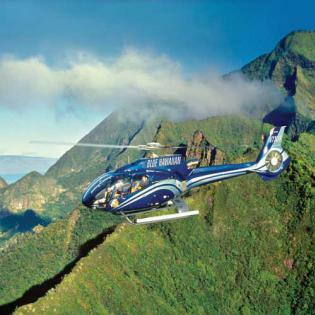 When it comes to choosing a helicopter tour company to take you on this incredible adventure, only one name should come to mind and that is Blue Hawaiian Helicopters. We are the only activity company in the world, of any kind of activity, to receive the Star Diamond Award for Outstanding Quality and Service from the American Academy of Hospitality Sciences, as well as being recognized as the world’s number one helicopter tour by the Travel Channel. 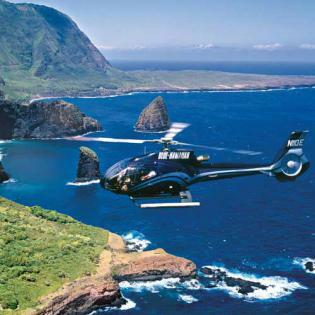 Living up to the philosophy of “good enough is not enough,” Blue Hawaiian helicopters are constantly being upgraded, while the State of Hawaii Certified Tour Guide pilots are kept in ongoing training to ensure that they are the best in the business. Blue Hawaiian is also the only helicopter company honored by the Federal Aviation Administration with the Diamond Certificate of Excellence Award every year since 1998, first company certified under the Tour Operators Program of Safety, the first to be certified under the Helicopter Association’s Platinum Program of Safety, as well as being the only helicopter tour company to be certified by the Department of Defense. Comfort and environmental impact are two other things we strive to achieve greatness in. Our ECO-Star helicopters have been optimized for the good of the environment, while using state of the art technologies to make the ride as comfortable and fantastic as possible for passengers enjoying the views. 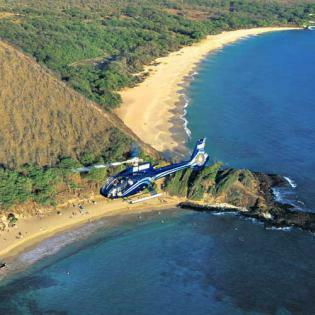 You owe it to yourself to experience all of the beauty of Maui from one of our Blue Hawaiian helicopters. Call (800) 745-2583 for more information.